What is Soul Love? 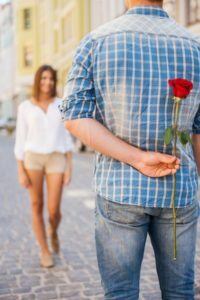 3 Ways the Love-Weary Can Spot It! 26 May What is Soul Love™? 3 Ways the Love-Weary Can Spot Genuine Soul Love. For others, it may touch somewhere deep within the center of your body and spread a warmth that seems to touch every cell and beyond… and while for some, it can bring up a sense of loss – of good days gone by. Soul Love makes Ecstatic Intimacy™ possible in romance. It’s actually the foundation of a relationship built on ecstatic authenticity, intimacy and ecstasy… and that’s what I most want for people. I talk all about that in my Ecstatic Intimacy Jumpstart Kit that you can download HERE. Whatever arises for you when I talk about intimacy, ecstasy and soul love… is absolutely perfect. It’s part of your journey of soul love. Yes, whether we realize it or like it, or not, every one of us is on our path of soul love. As a matter of fact, this kind of love scares some people so much that they fight and resist it… as this deep and truest love tries to chase them down and embrace them. Others chase after this love, so desperate to fill the gaping hole within that hurts so much. I’ve been telling you about Soul Love… What is it? It’s the love that is the essence of our being. It is the fabric of our uniqueness. It is the gift that you alone give to the world. That made it crystal clear, right? Probably not. We cannot measure Soul Love. We cannot identify its qualities. We cannot weigh it or even see it. It is everything and nothing all at once. I know your brain probably isn’t getting it yet, but try your body. Has there been any stirring? Opening? Expansion? Even wonder? Or, some kind of inner knowing? Soul Love happens to humans in the body. It’s an experience. It’s something we feel. “Oh no! There’s that f-word…” This one has more than four letters, though. you must reawaken and strengthen your feeling muscles. We’ll talk more about those feeling muscles another day. For now, simply know that in order to recognize and share soul-to-soul love you have to be able to feel the emotions and sensations that live in your body. which means you will actually be able to feel loved by someone else. That’s where genuine romance becomes possible… the kind of intimate love that lives through the ups and downs of time. I know. That’s actually part of the problem. We too often imagine that “soul love” equals, or is, romantic love, but it’s not. Soul Love is the pre-requisite, the pre-cursor, the foundation of romantic love. 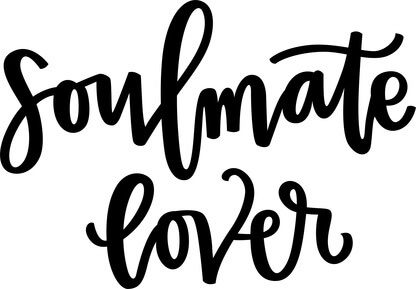 I call romantic soul love “Loving Soul-to-Soul,” which means, “my soul meets your soul and together we make magic.” It doesn’t mean either of us is perfect, but we love each other anyway, and likely, we love each other even more because of our imperfections. When soul love activates in you it means that you embrace, express, and embody – all of who you are. It’s self-love at its finest. It means that you are who you are – warts and all, perfections and imperfections, strengths and weaknesses… and you willingly let another see you in all of that. With soul love, you express the fullness and completeness of your soul’s unique expression in your human body, in this lifetime. 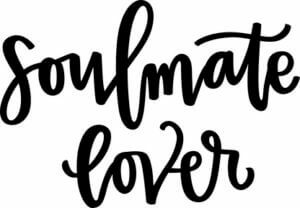 Soul Love, when it’s awake and active in you, makes confidence, connection, and chemistry effortless. It makes romance come alive. It not only ignites true physical ecstasy, it takes it to the edges of ecstasy and beyond. What happens when soul love goes into hiding or seems to disappear? 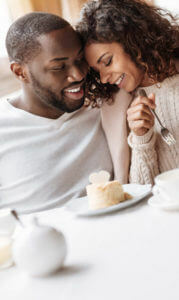 When we lose access to our soul’s love, we can feel desperate to find a partner, or constantly have the attention, affirmation or acknowledgment of the partner we have. We can doubt, question, or even outright resist and reject the loving expressions that come towards us. We can feel unworthy, undeserving or not enough. Confidence, power and even real sexiness will be elusive. We’ll sell ourselves out, settle, or twist ourselves into a pretzel trying to get or keep love. Now you know what Soul Love looks like when it’s active and when it’s not. So how do you recognize it? We’re comfortable in our own skin and personality. We are ourselves. We enjoy being ourselves. We leave self-judgements behind. That’s Soul Love…. How to recognize it in you, how to spot it in another… and how to begin enjoying the magic and mystery of Ecstatic Intimacy™. So I wonder… Is your heart longing for soul love? Do you want to step onto the Path of Soul Love? Then a great next step might be to check out the Roadmap to Soul Love (There’s a singles version and a couples version) in my Ecstatic Intimacy Jumpstart Kit that I mentioned above. You can download it HERE. Blessings on your journey of love!